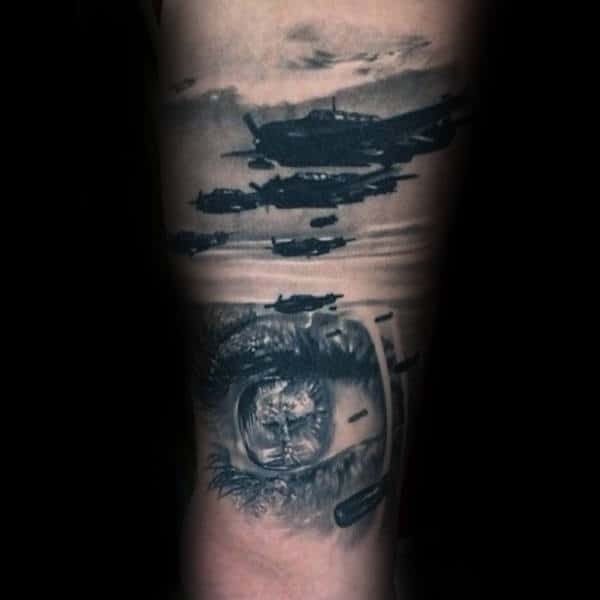 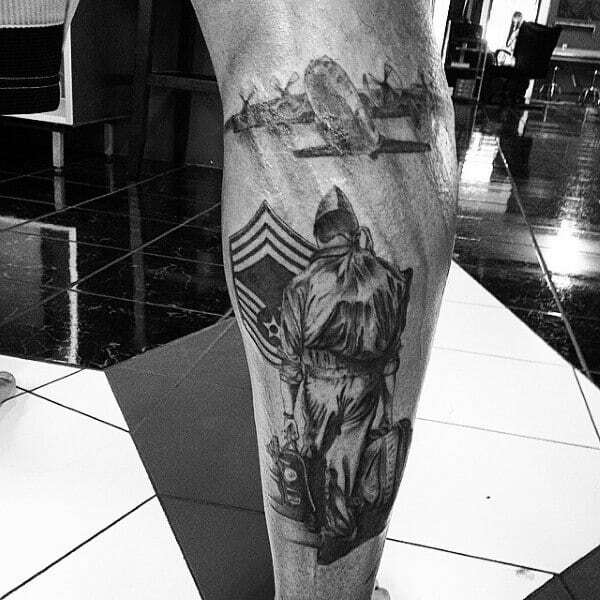 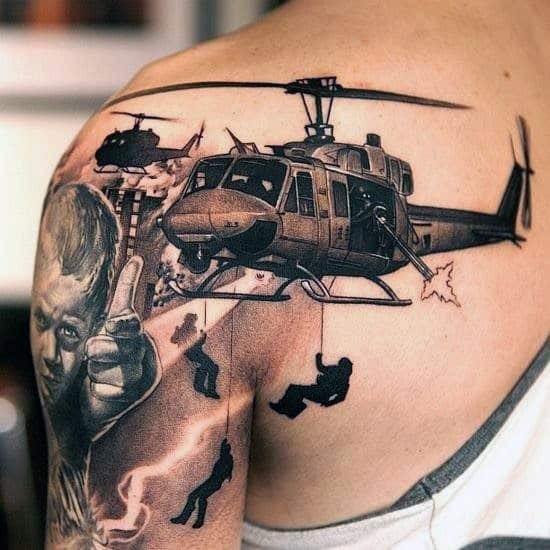 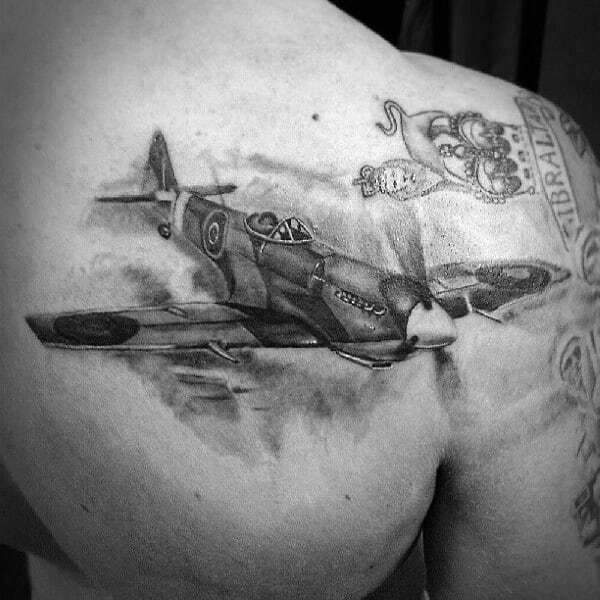 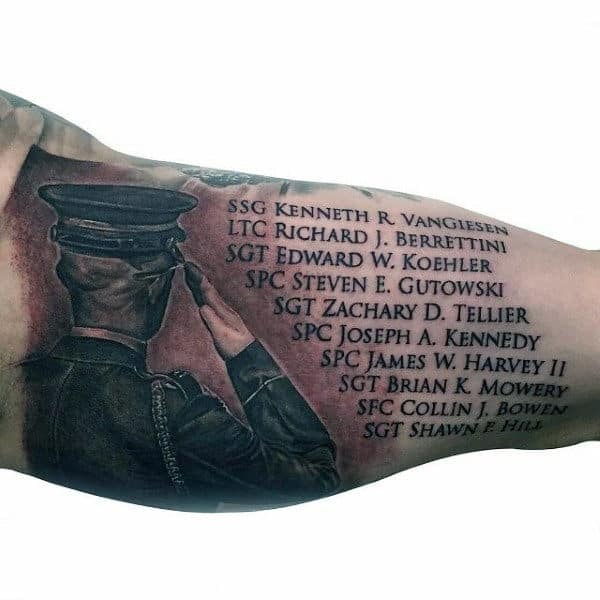 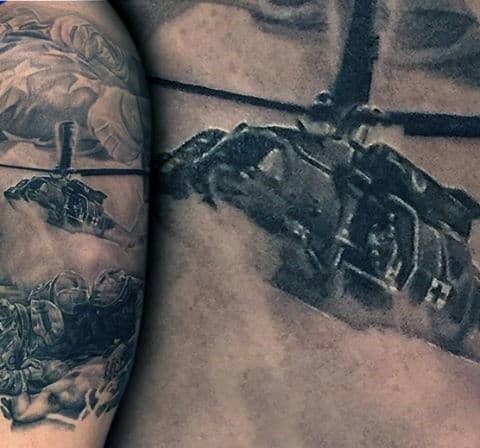 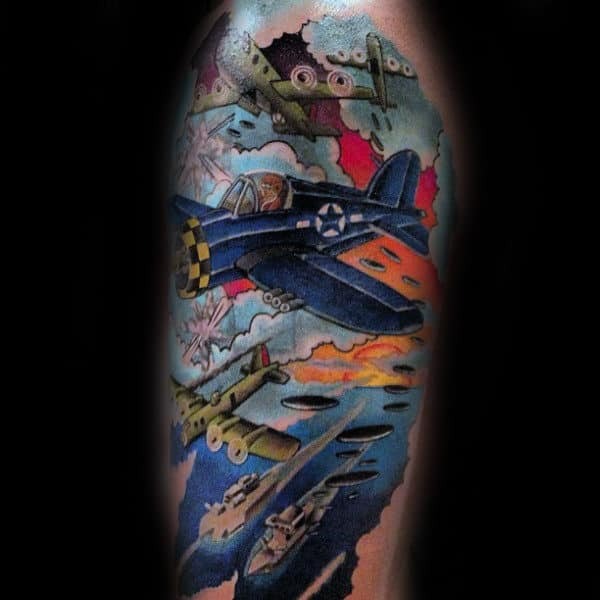 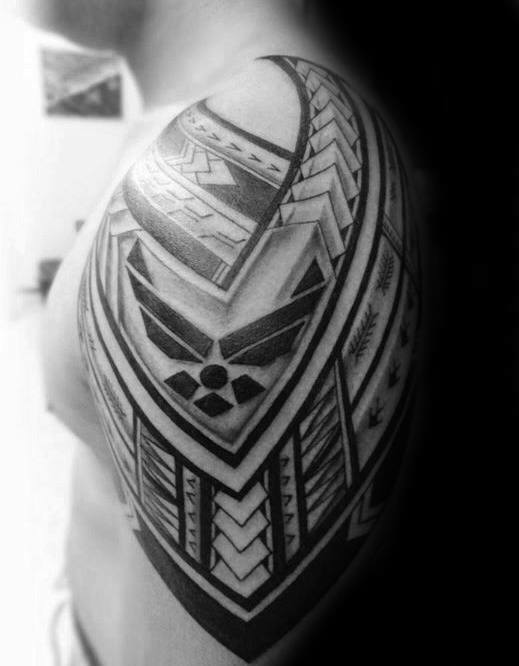 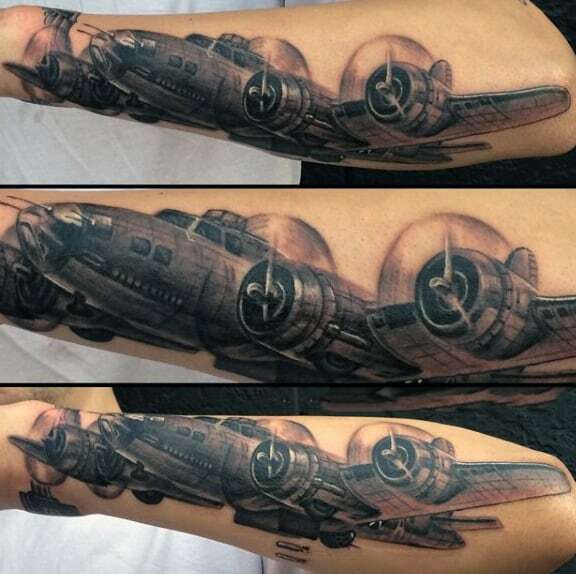 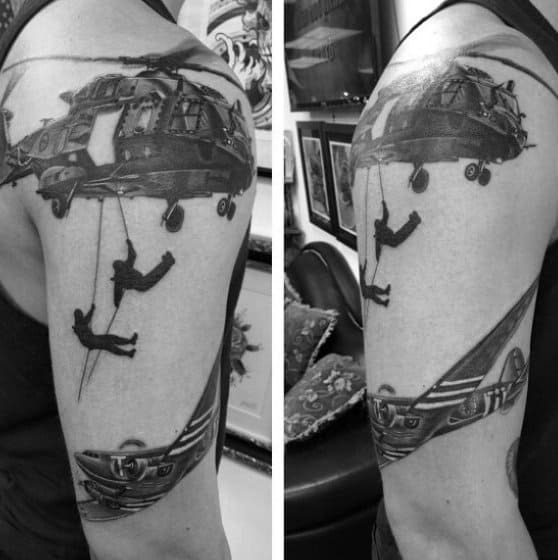 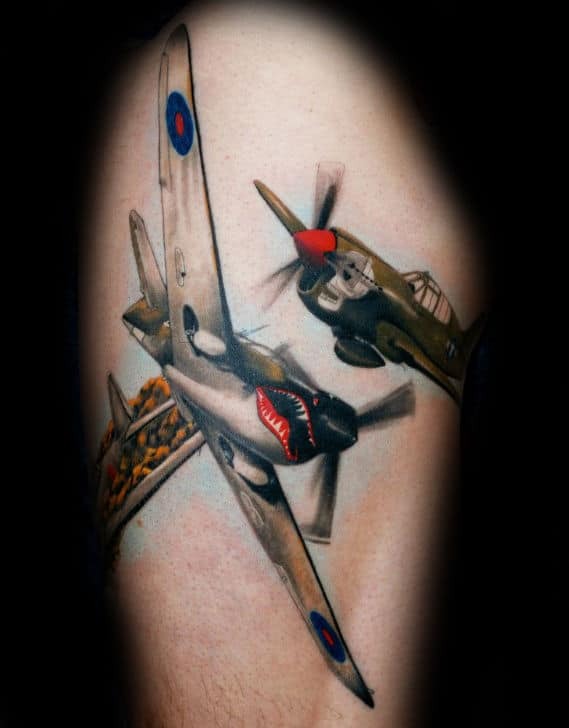 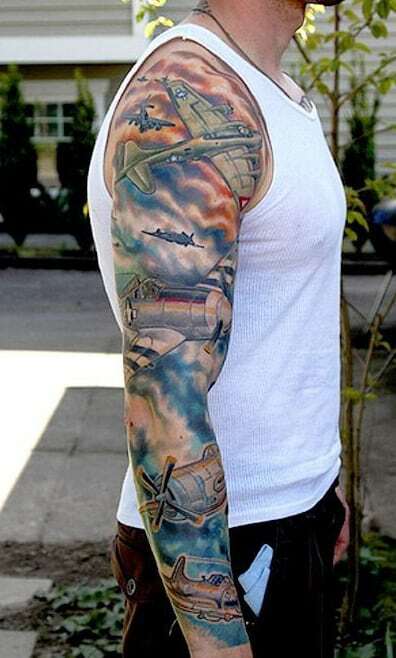 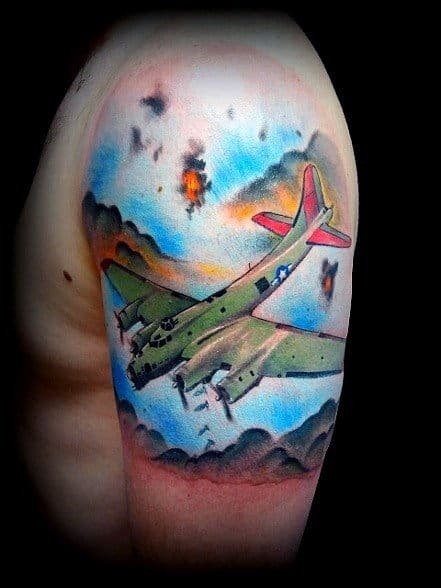 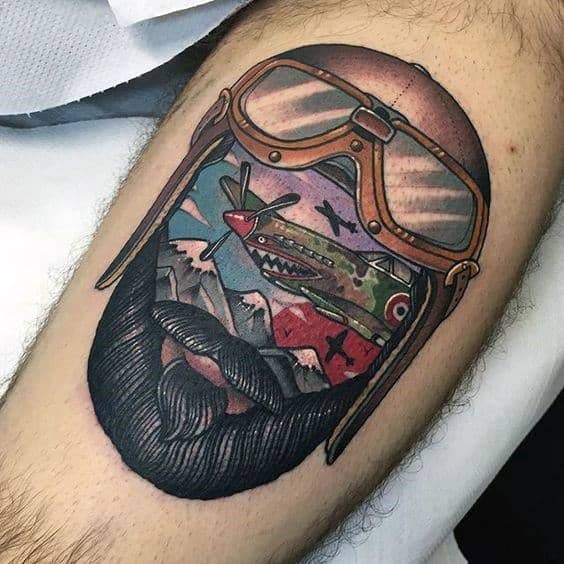 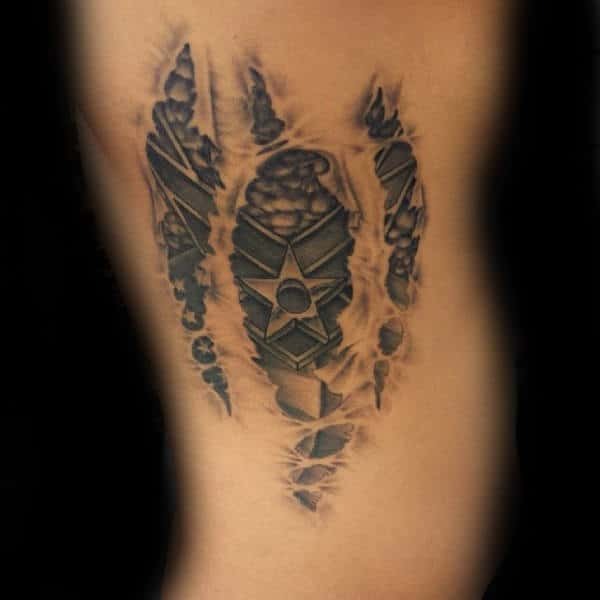 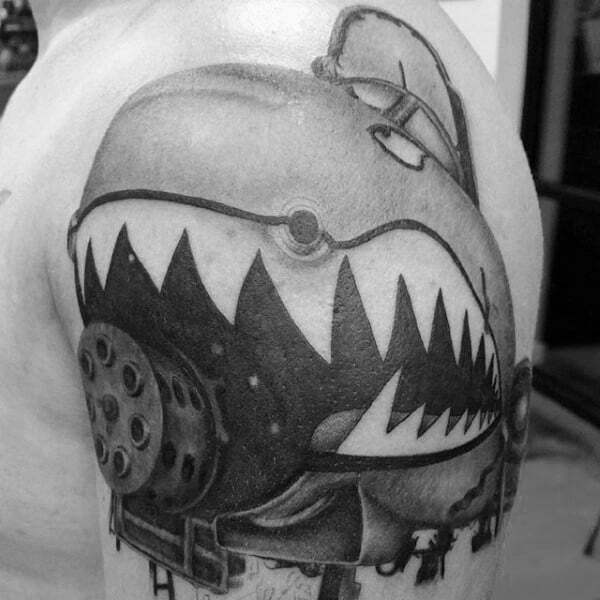 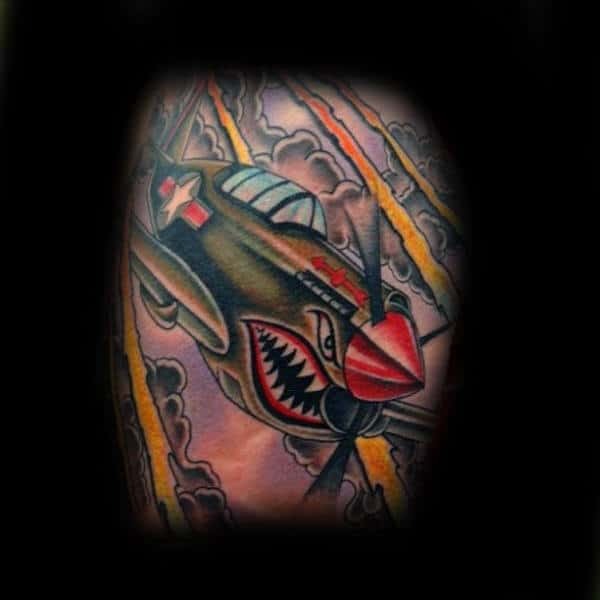 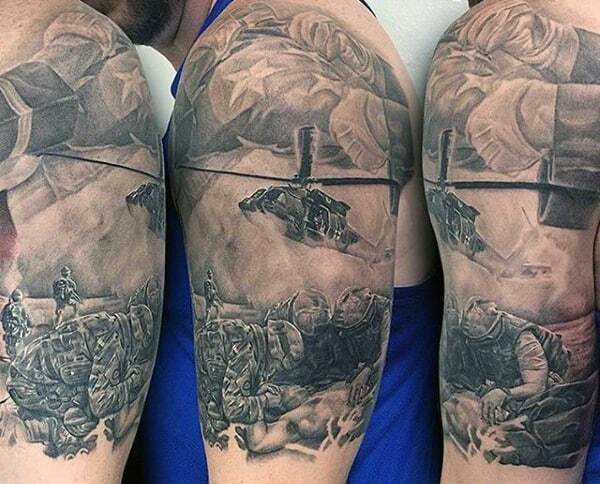 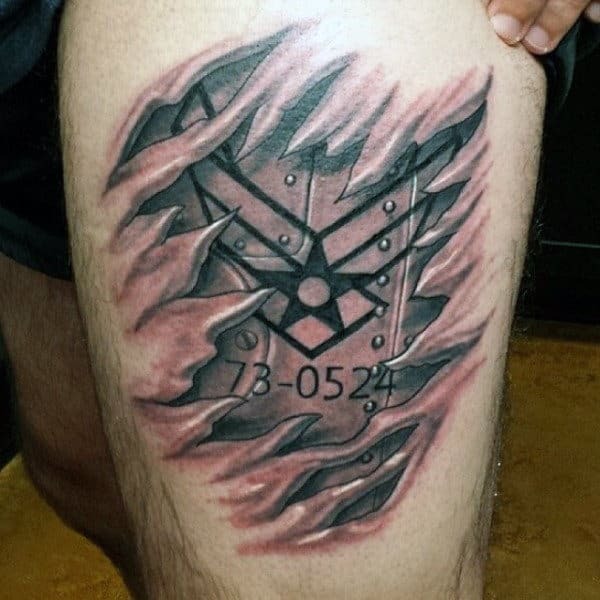 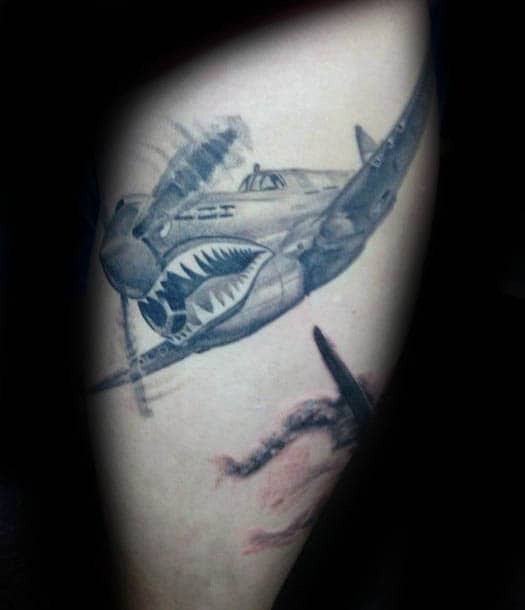 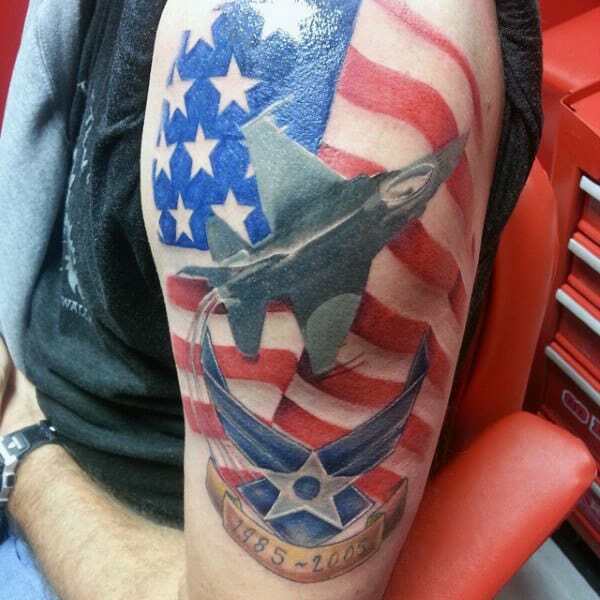 Air Force tattoos are truly stalwart for both servicemen and patriots alike. 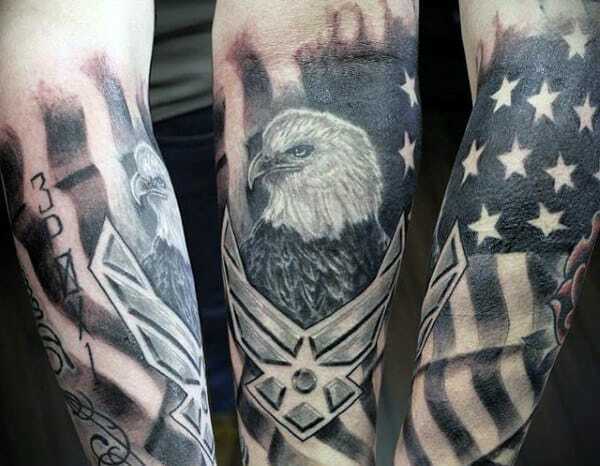 As the U.S. Armed Forces are seeking to reevaluate their prohibition on tattoos, Air Force ink is more aristocratic than ever before. 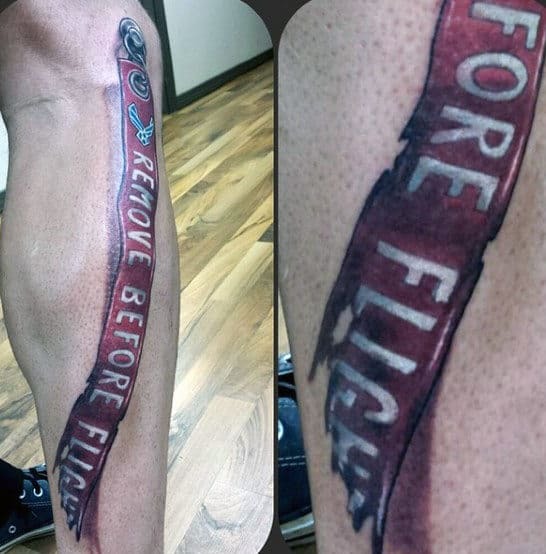 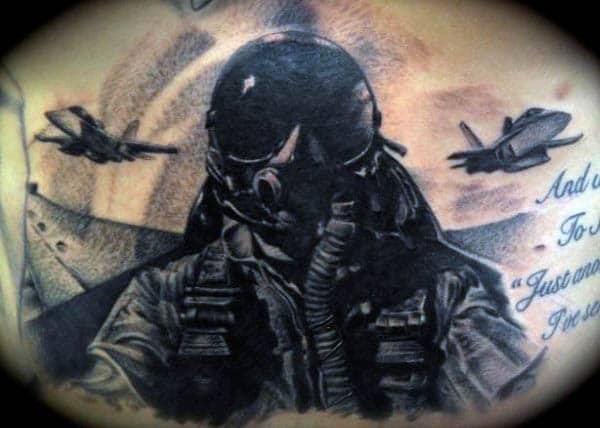 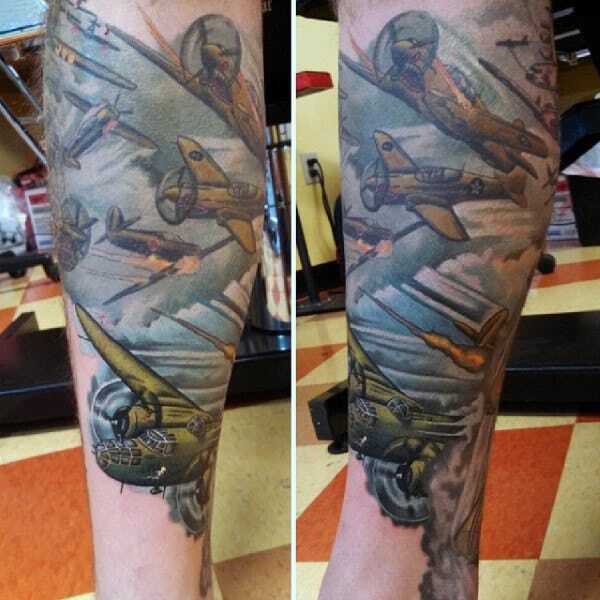 Airmen can finally exhibit their indomitable spirit with the full-blown inception of Air Force tattoos. 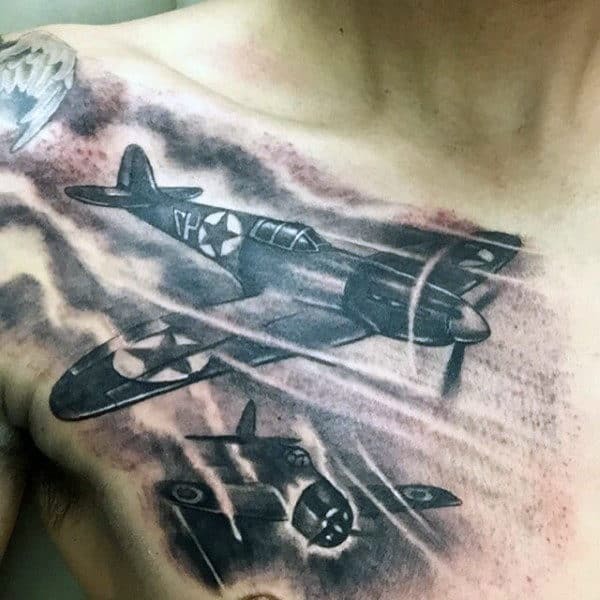 The unit’s standard emblem is practically made for body art purposes, especially considering the sharp overlapping wings that concoct a riveting star. 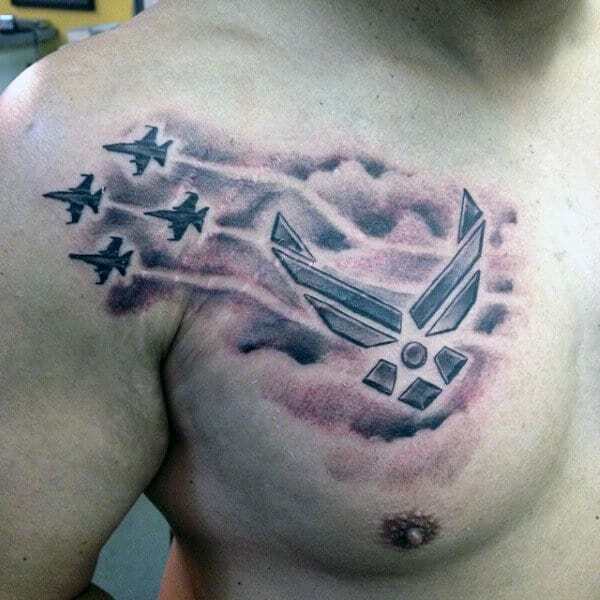 With its compact ruggedness, the distinct logo can be swiftly acclimatized into any larger array of ink. 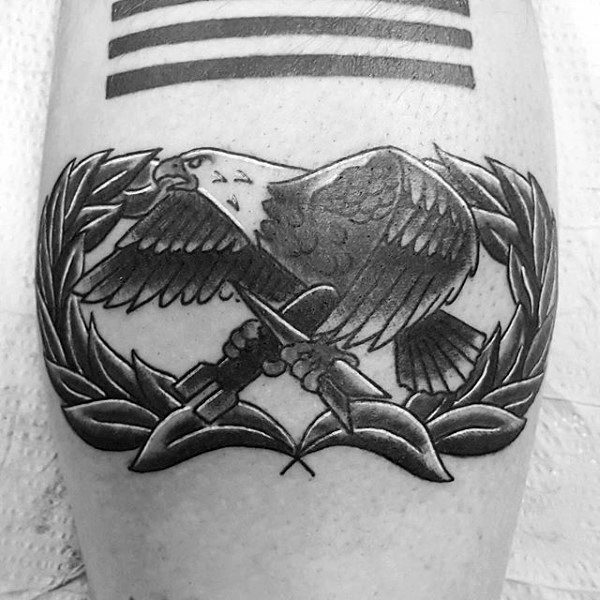 For seasoned veterans, the alternative Hap Arnold symbol offers even more moxie! 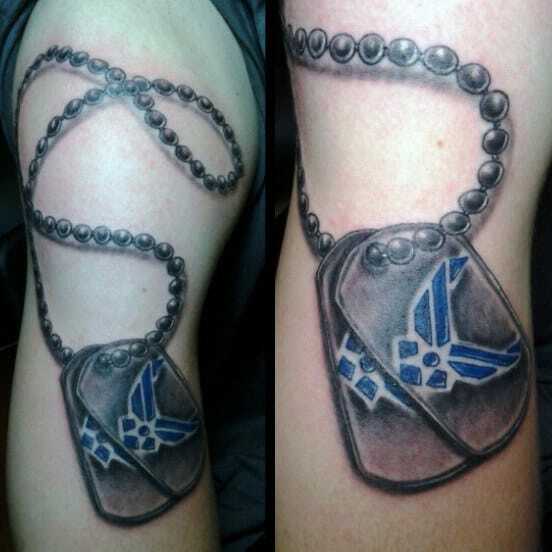 These imperial masterpieces are highly regarded, and you can wear them as a badge of honor. 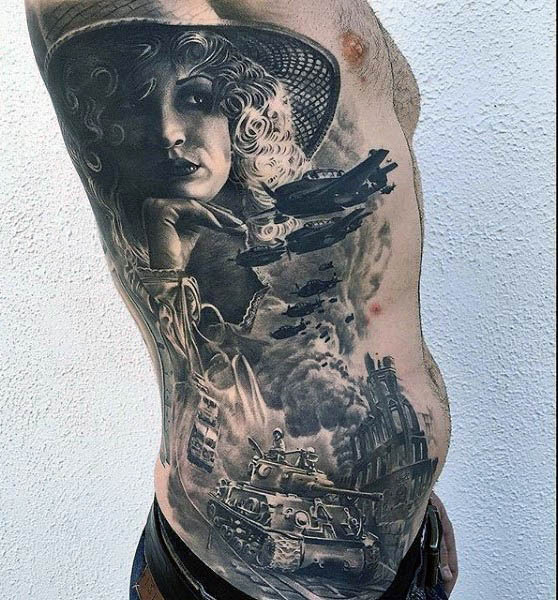 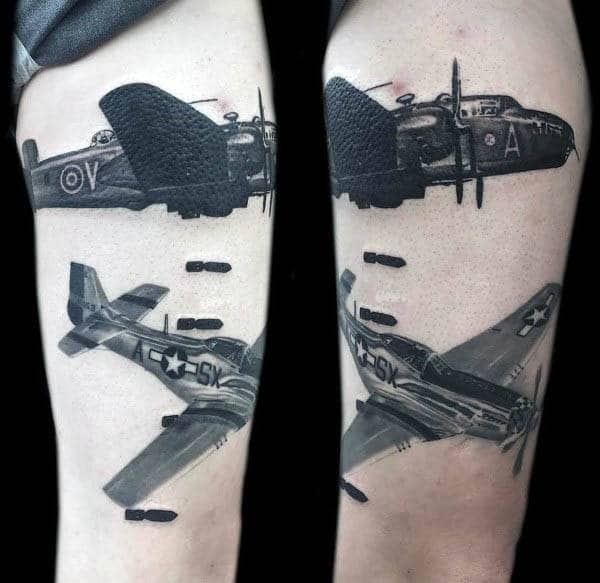 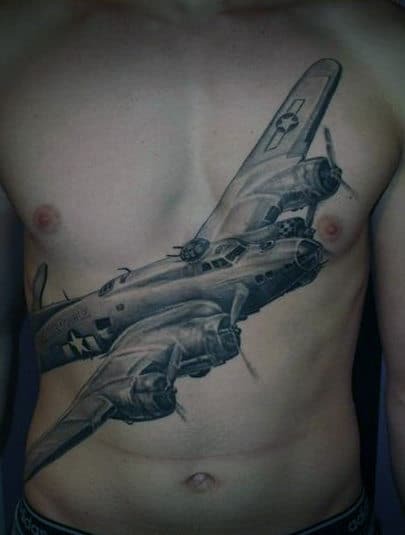 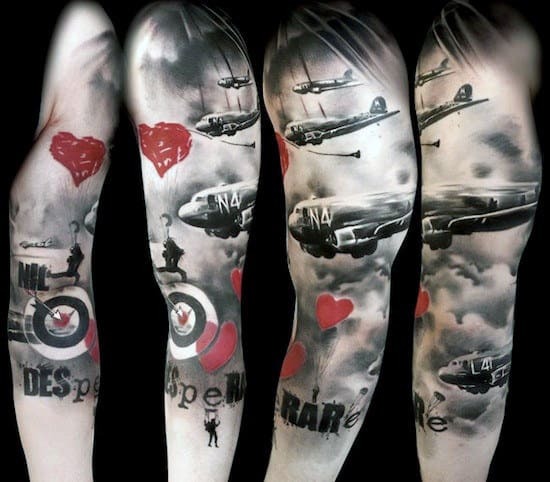 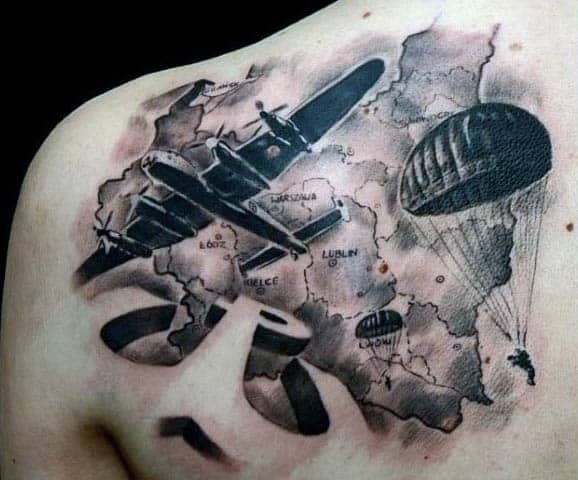 Similarly, medals awarded by the Air Force can also be transformed into captivating ink portraits. 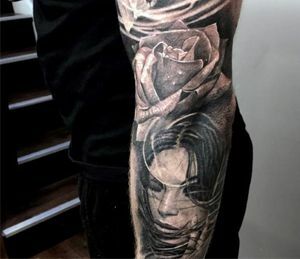 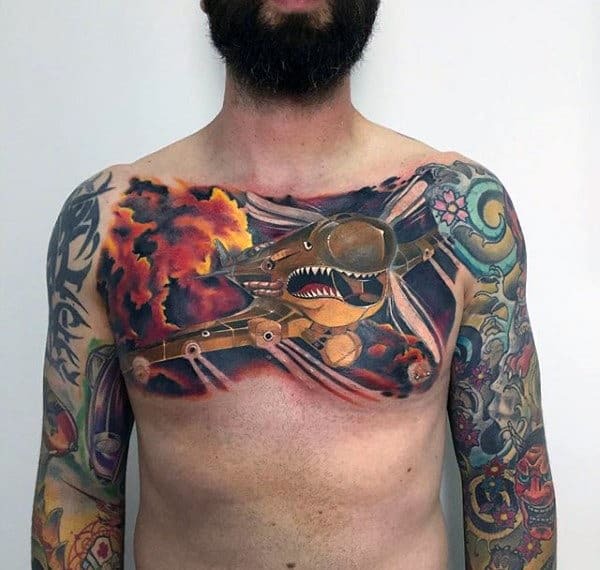 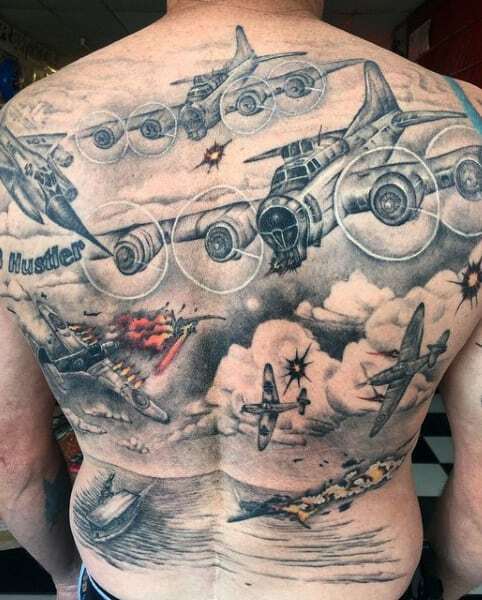 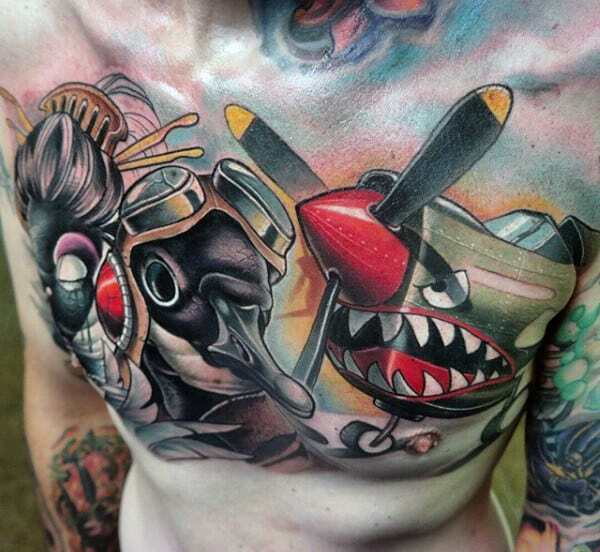 With the poignancy of Air Force tattoos, a man can unleash his coolly collected composure. 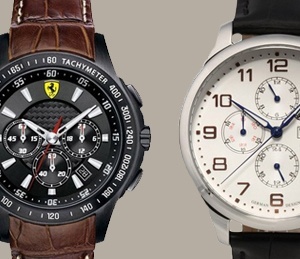 These emotional icons are splendidly understated while boasting a man’s unrivaled physical capabilities. 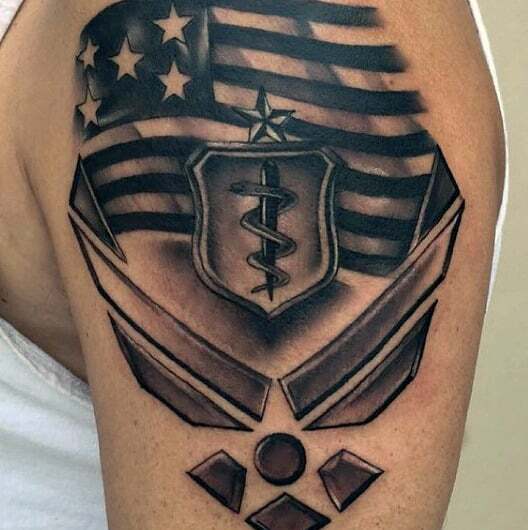 Before committing to the legacy of a slick Air Force design, just make sure that your coat of arms is in compliance with the military’s tattoo policy. 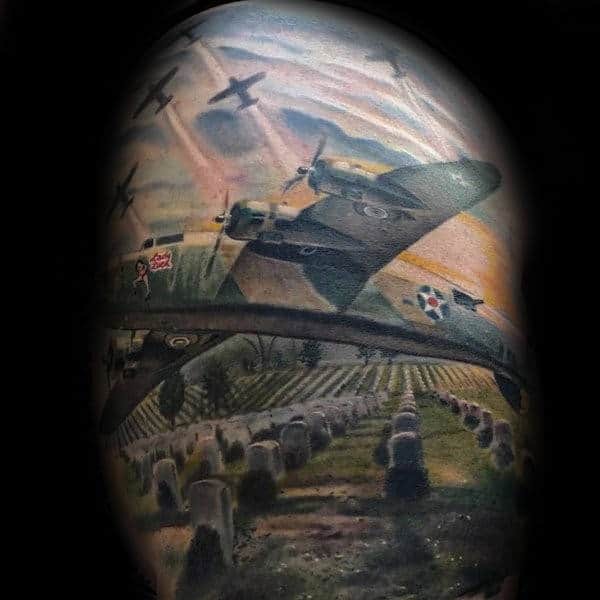 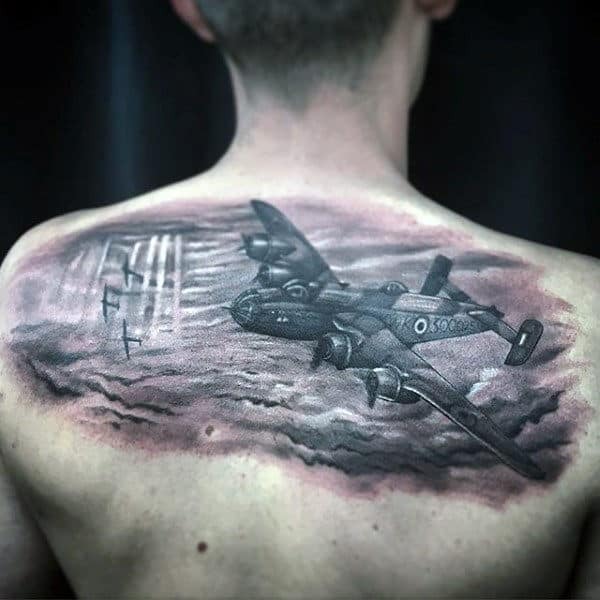 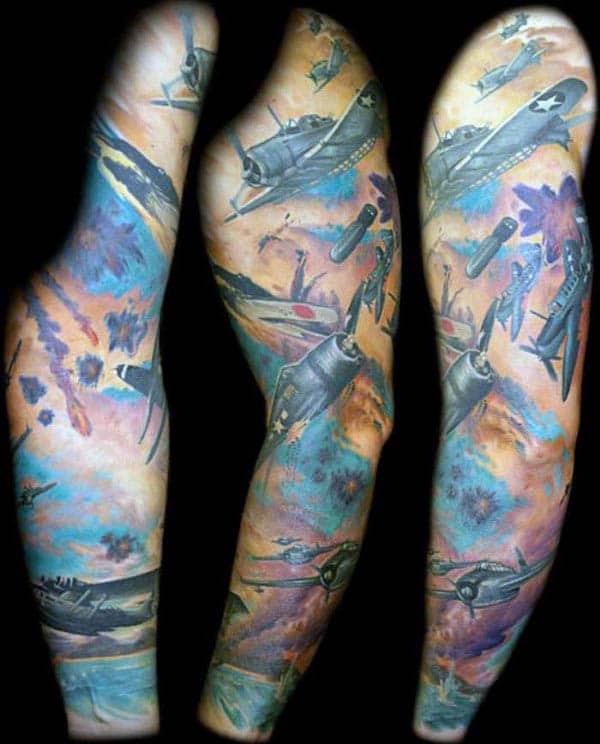 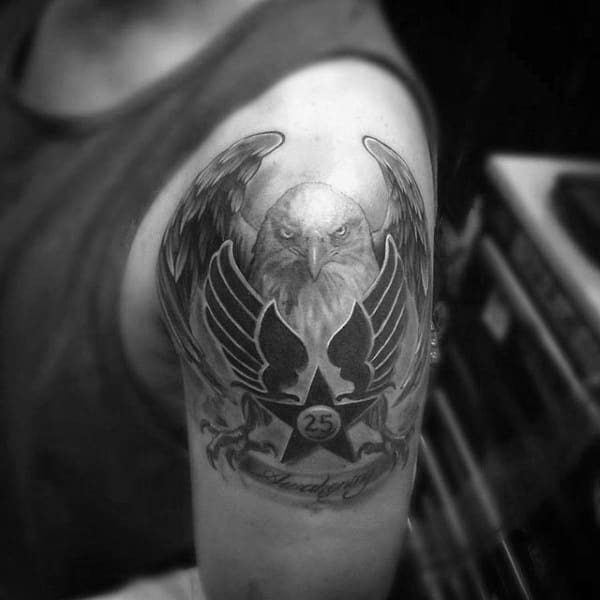 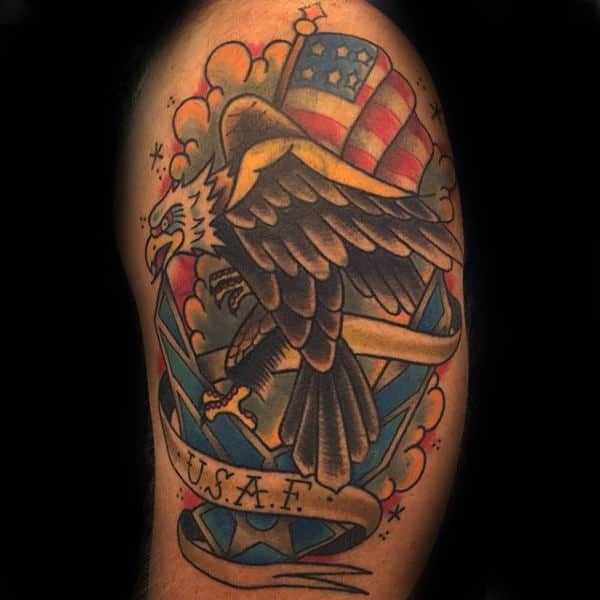 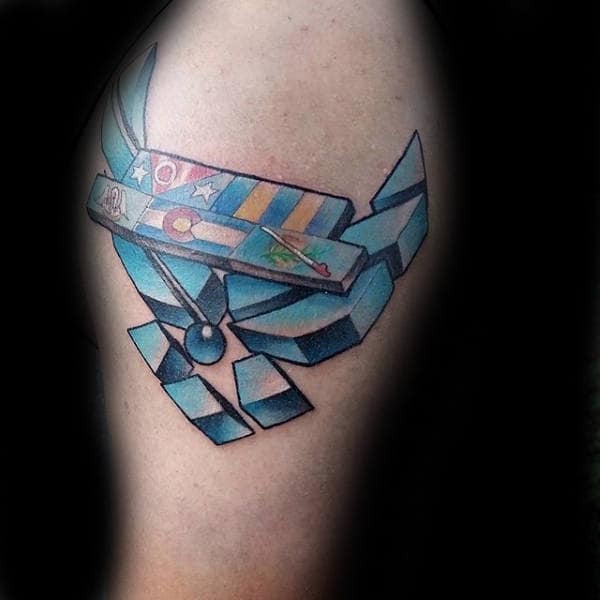 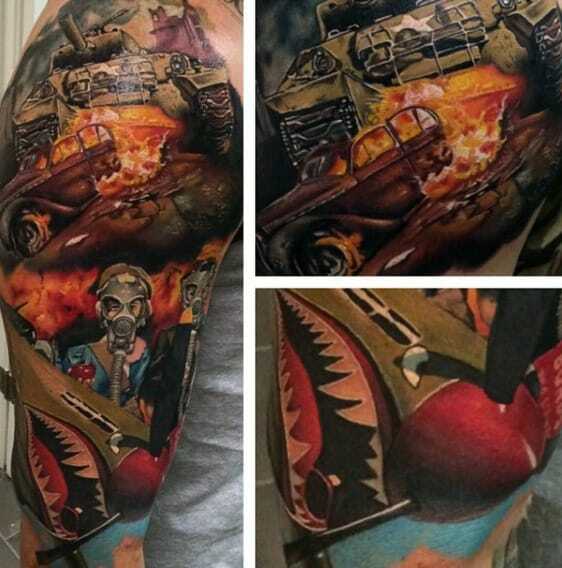 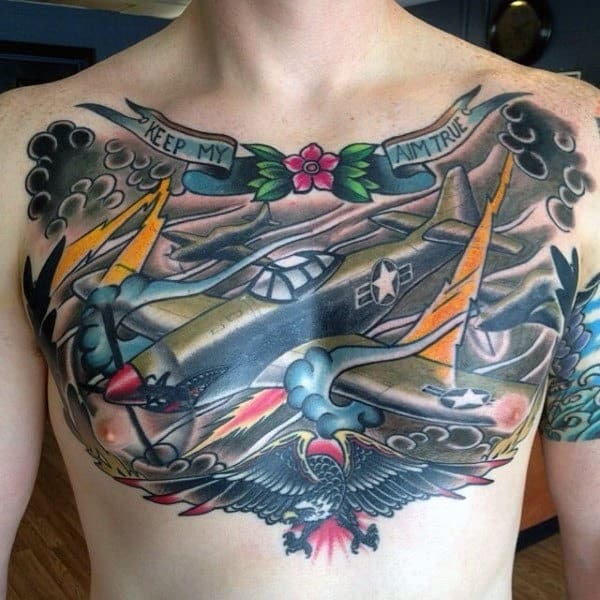 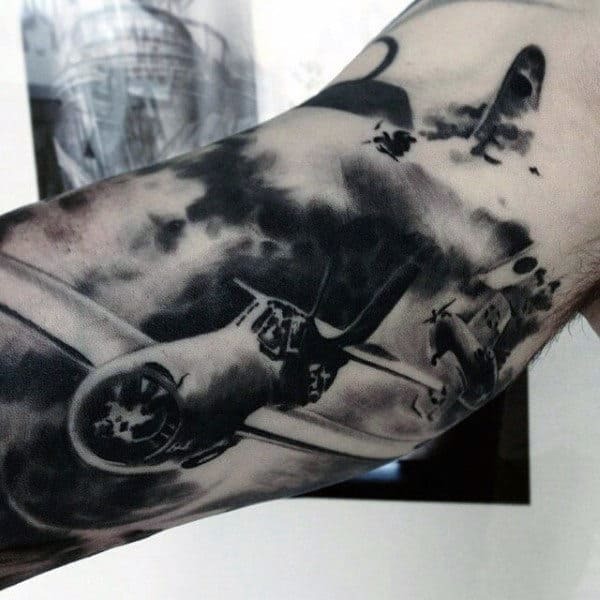 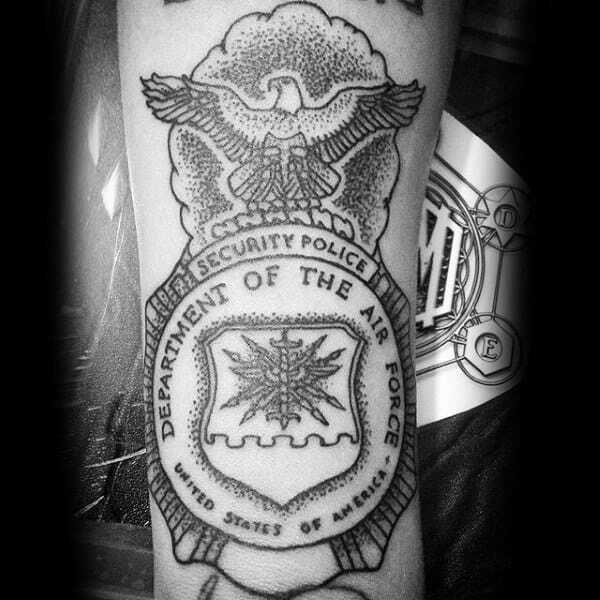 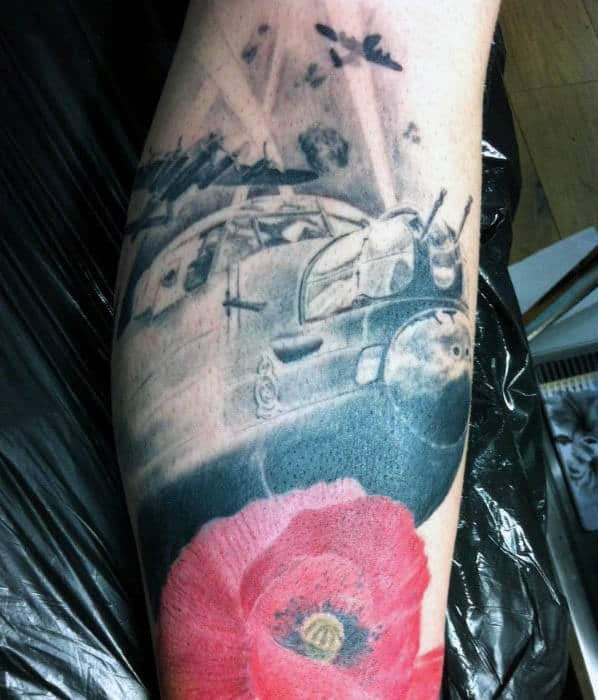 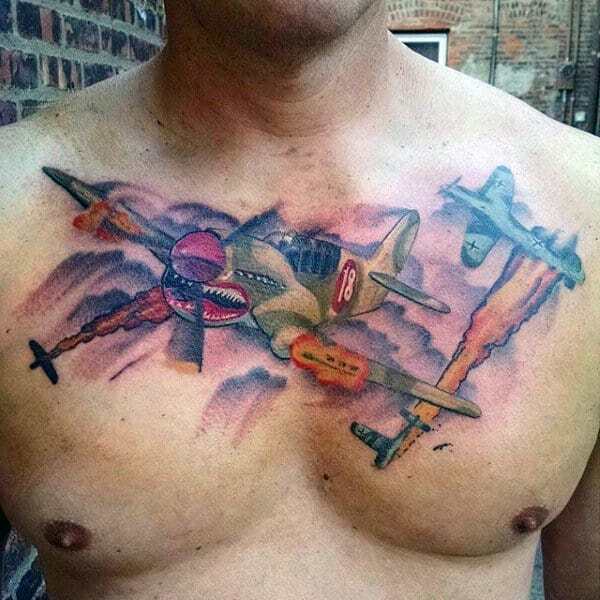 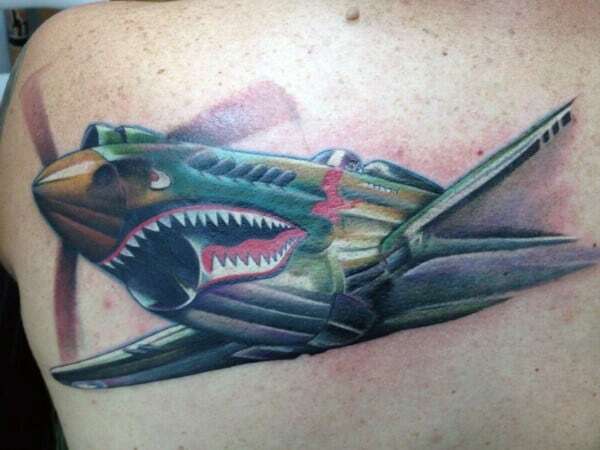 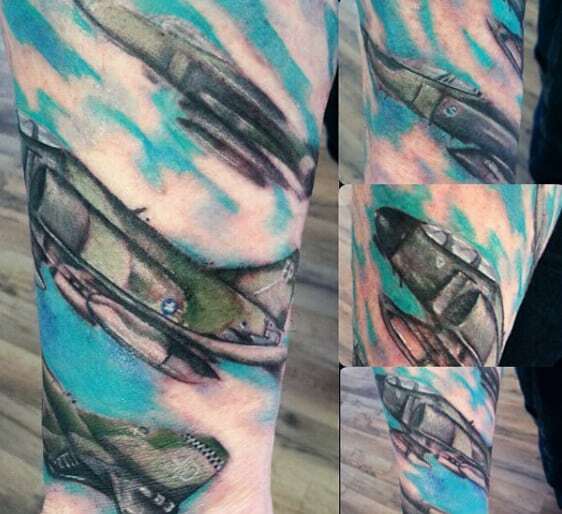 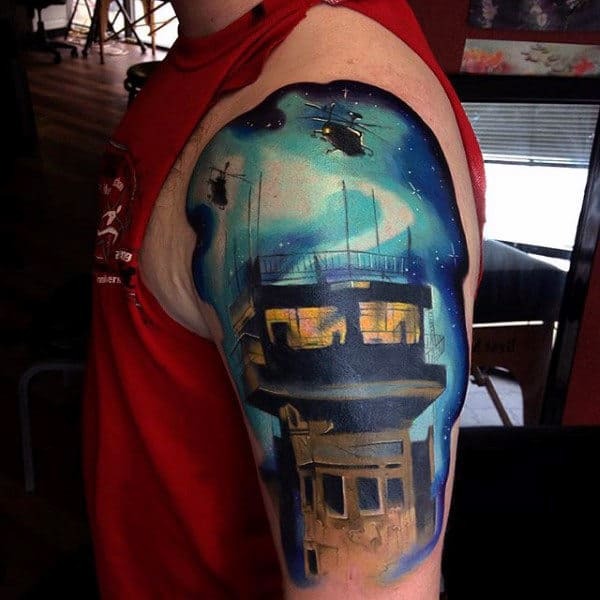 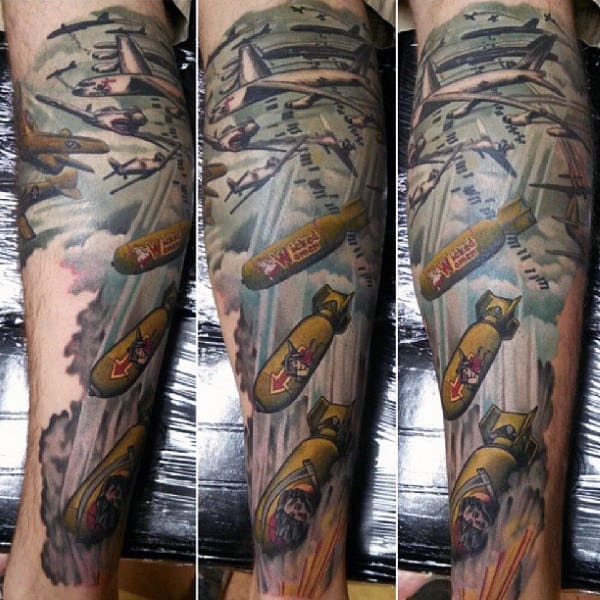 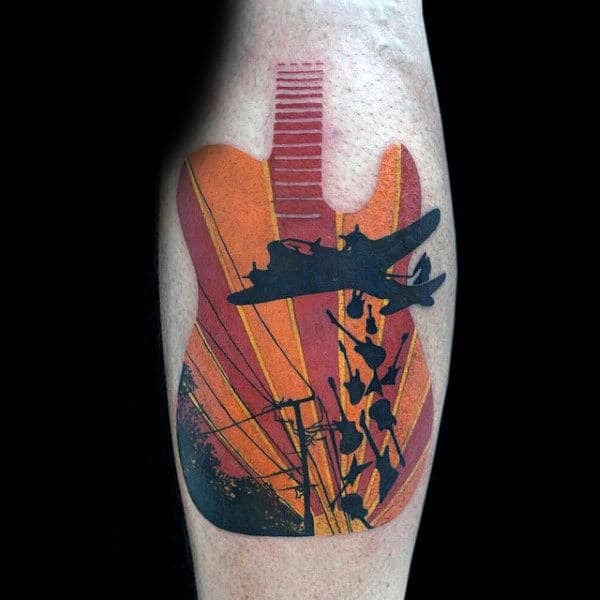 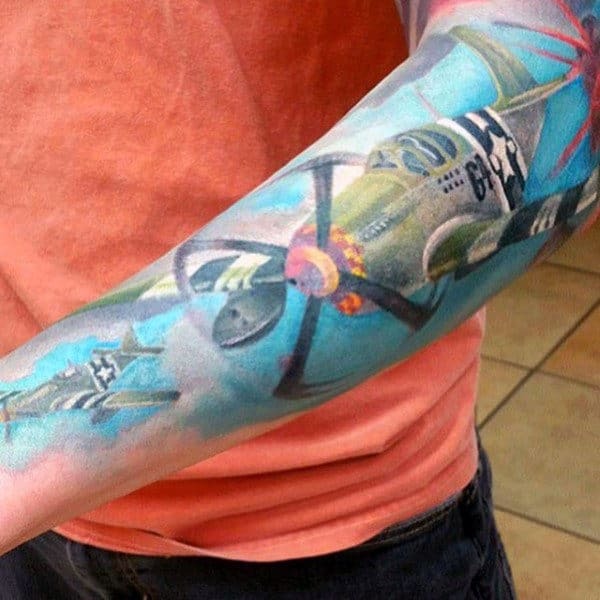 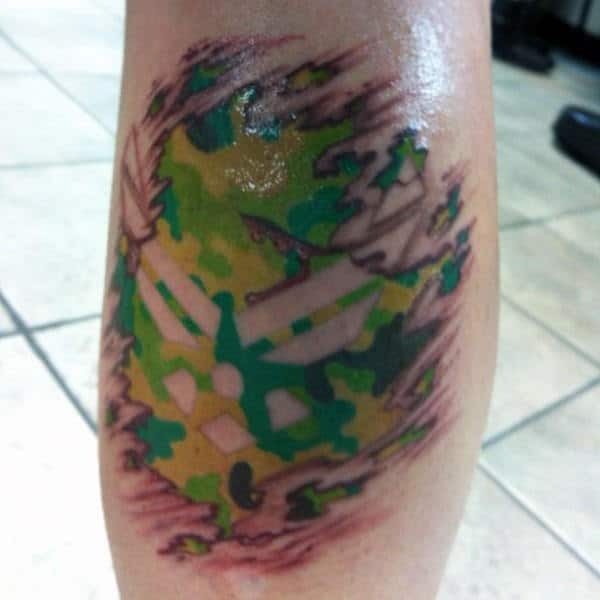 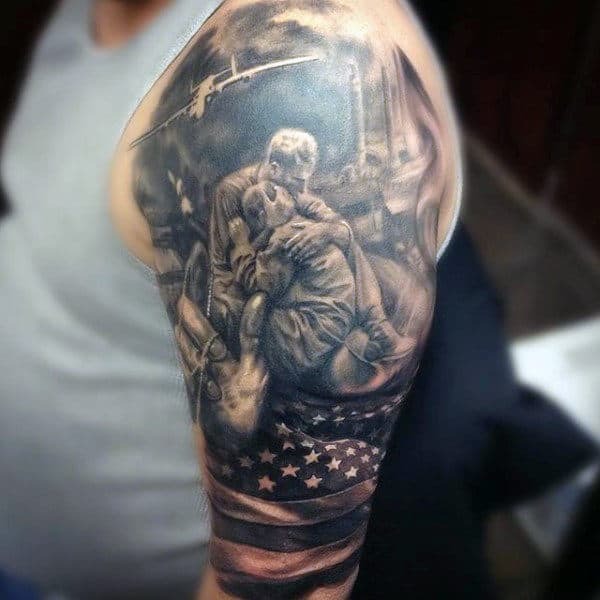 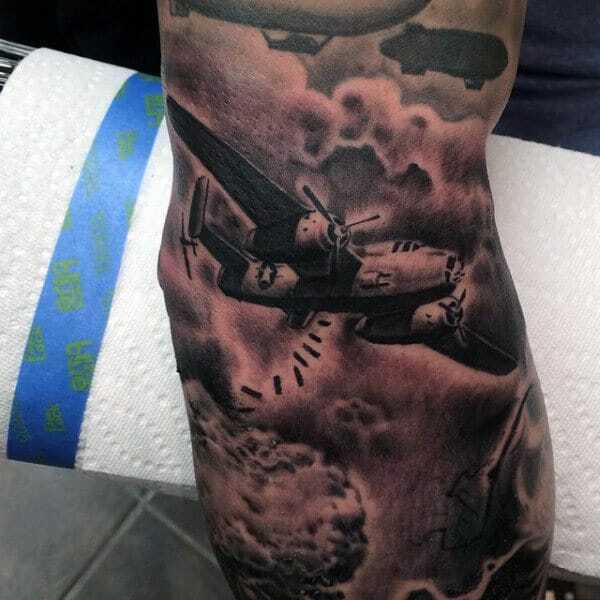 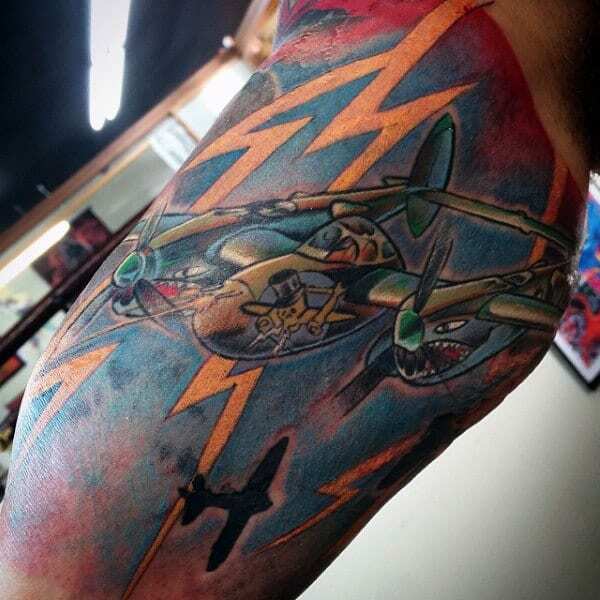 Without further ado, fulfill your duty to this country with astonishing Air Force ink. 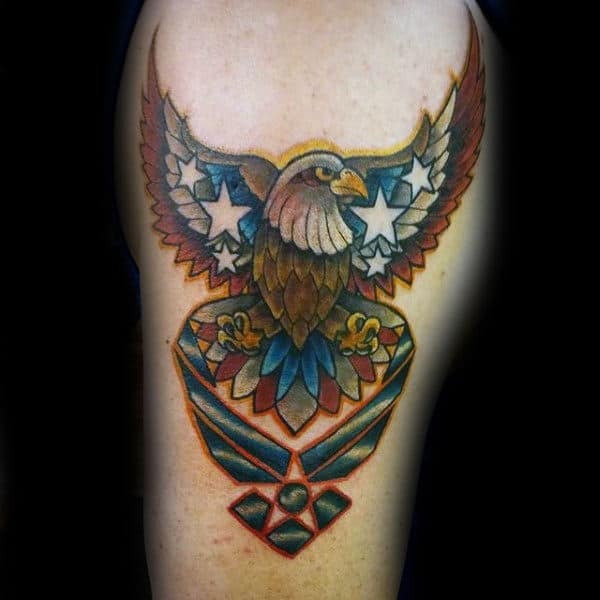 Enjoy this mosaic to fully perceive your patriotic potential!